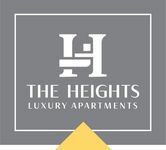 Come see what living in Hammond, Louisiana has to offer when you live at The Heights Luxury Apartments! Looking for a great way to have fun and contribute to your community? The latest on our construction progress.